NBR's Treasury Commercial: A different take on the bailout. So much for that story. 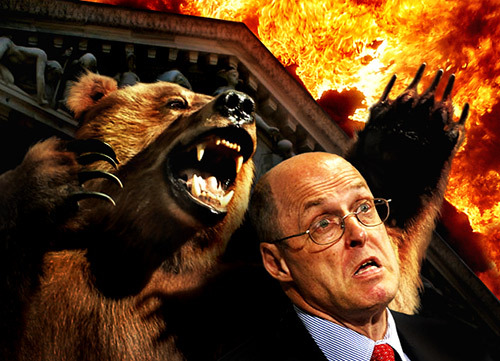 A few days ago, when Hank Paulson called the heads of the nine families to Washington and shoved cash down their throats, he announced that the banks would use this new taxpayer cash to lend. They won't, of course. They'll hoard it like a starving family who has just been given a grocery cart full of food. And after a few days of silence, even the banks are finally admitting that. So it's back to the drawing board for Paulson & Co.